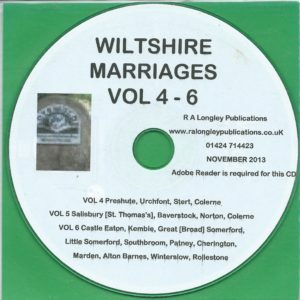 Wiltshire Marriages covering Volumes 11 to 14 from the Wiltshire Parish Records. Includes the following Parishes. Volume 11 – Whiteparish, Devizes [St. John the Baptist] and Luckington. Volume 12 – Bratton, Kingston St. Michael, Fuggleaton and Bemerton. Volume 14 – Salisbury St. Edmund [concluded] & Stratfordsub-Castle. 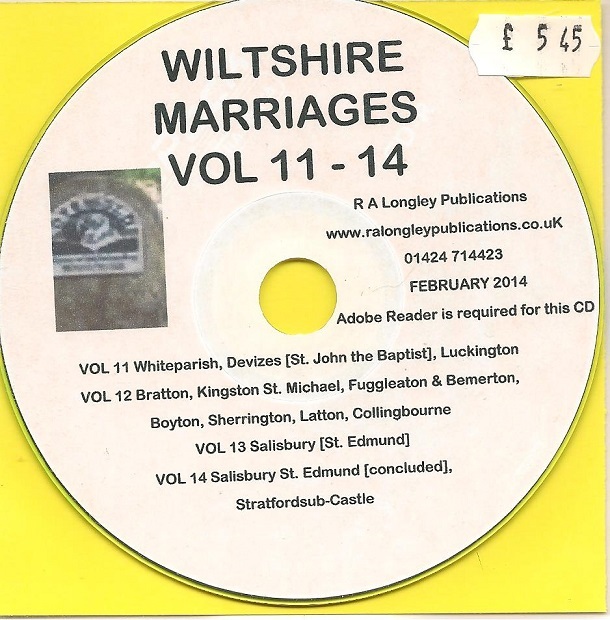 The Marriage records for nine Wiltshire Parishes on one CD.